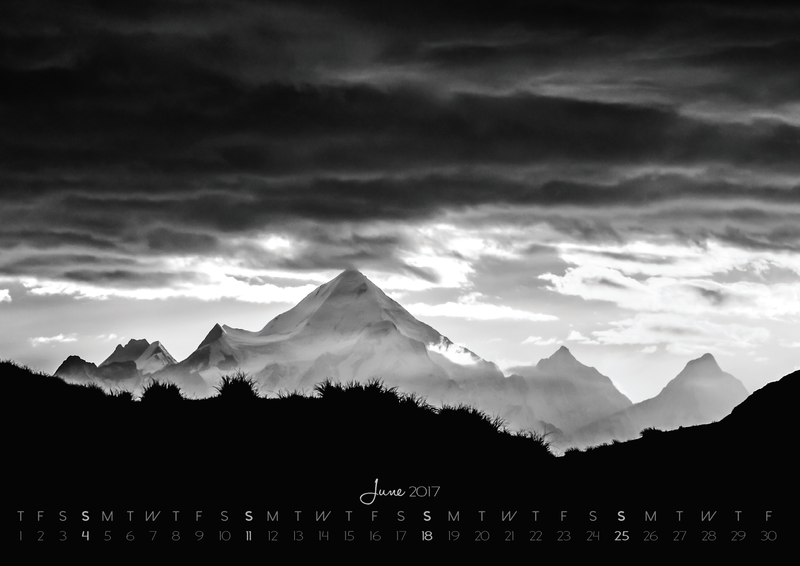 The Himalayan Collection - 2017 calendar is here! ~ The Wandering Soul's Wander Tales.. 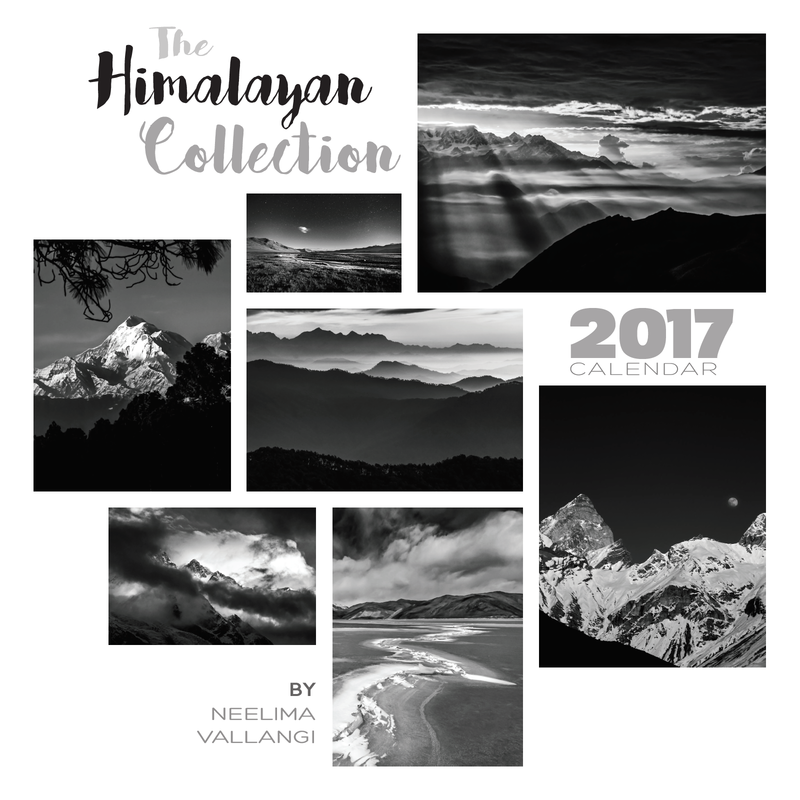 The Himalayan Collection - 2017 calendar is here! 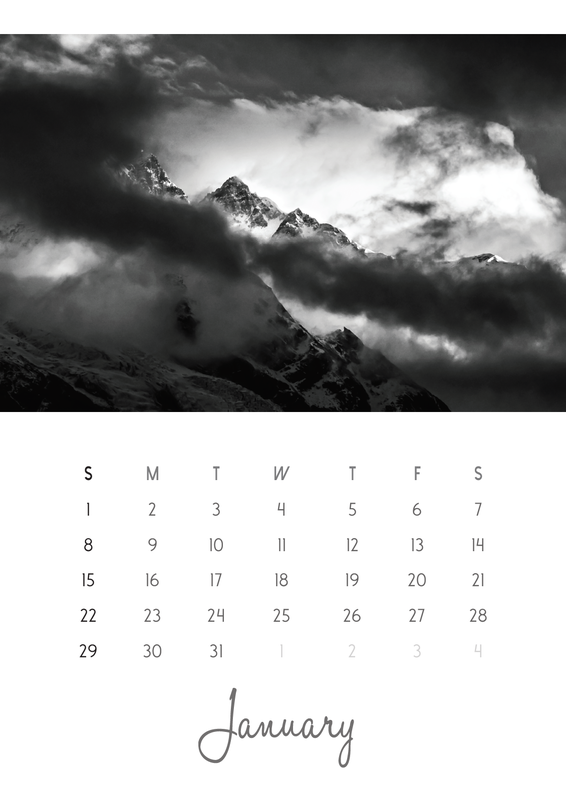 You can now share a small piece of those memories(& wonder) through The Himalayan Collection - 2017 calendars that feature 12 stunning images of Himalayas in B&W! 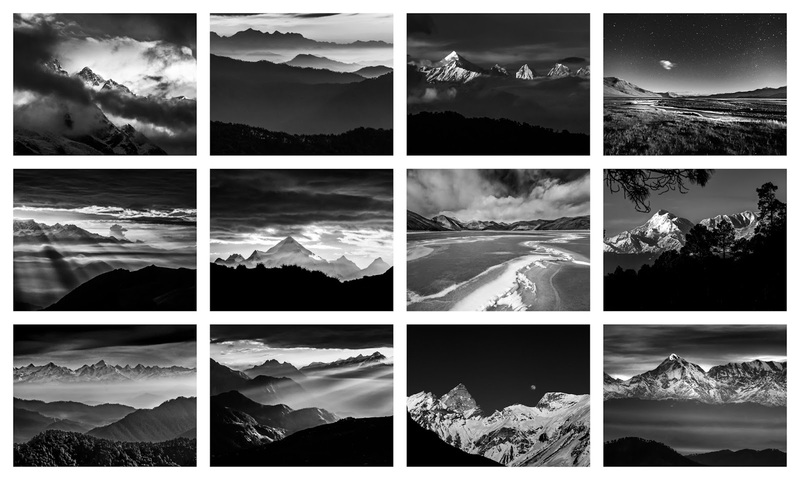 Combining my two loves, Himalayas and haunting landscapes in Black & White, I'm bringing you the 2017 calendar - The Himalayan Collection featuring images which are not quite part of my repertoire but something I've always loved. Landscapes in monochrome brings out the hidden contours of the land that are easily missed in an explosion of colours, so here's my ode to the most magnificent mountain ranges that I've had the pleasure of knowing. 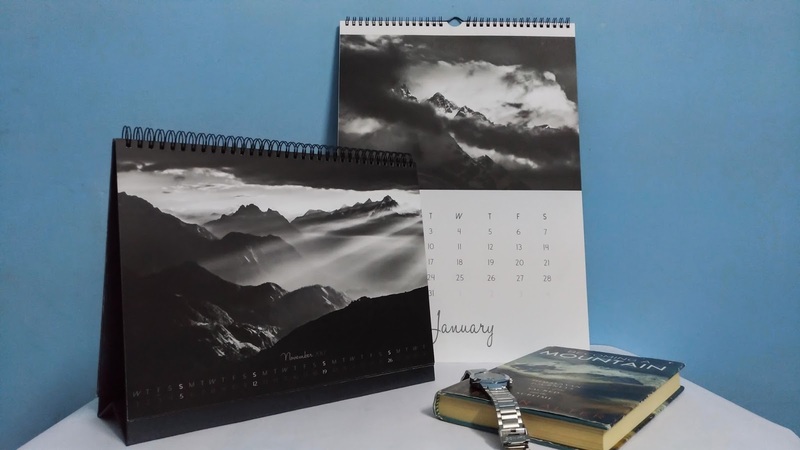 From the jagged pinnacles of Rajrambha in Uttarakhand to the crested peaks of Kanchenjunga all the way in Sikkim, the latest calendar features the many moods of Indian Himalayas that drew me to its chilling heights year after year without fail. If you're a fellow Himalayan obsessor like me, these images will take you back to your favorite mountains. And if you know someone like that, it would be a perfect gift for them. As always, there are two types calendars you could choose from - 1. A4 size Desktop Calendar & 2. A3 size Wall Hanging Calendar. I've painstakingly designed the templates myself and have gone for a minimalistic approach. You can see the page design and full set of images featuring in the calendar below. The images are being printed on high quality 350 GSM art paper, so the quality will be much better than last years, if you bought one that is. Samples will be available tomorrow. Please note that the calendars will be shipped only on December 29th, 2016. So you may get the calendars after a day or two into the new year but not more than that. I'm ordering 15 additional copies, so you can place your orders till the payment link is active and valid. After I run out of the extra copies, payment link won't work anymore. Pricing includes shipping and currently Shipping only in India. These are stunning images and am encouraged to do some thing like this next year. Although the quality of the pics may not be the same. Hi... neelima just placed my order... i like color ... but eager to to see how b&w looks..! !